The Health Service in the UK has been a symbol of national identity since it was introduced – and for good reason. However poor service, ballooning budgets and huge regional disparities have led to the most recent round of reforms that are attempting to move control (and funding) closer to GP’s, whilst integrating Health and Social care. There has already been fierce debate from all sides of the establishment, and this will only get louder as we move into the election season. Our election countdown will discuss these in depth as they unfold, but we can already highlight one area in which more has to be done – digital healthcare. 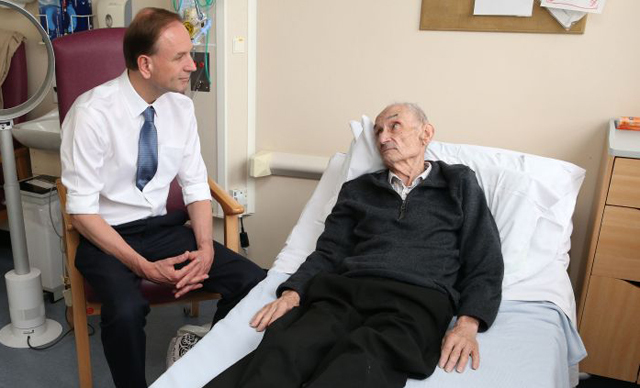 The NHS Chief Executive Simon Stevens recently unveiled a list of reforms in line with his overall strategy for 2020. The new ‘Vanguard’ areas will attempt to join up local services from social care and community nursing through to hospitals and pharmacies into one unified system. This is a strong step in the right direction, but it is not without risk – be it cost, infrastructure or deterioration of care as the different organisations attempt to combine. This is a huge opportunity to capitalize on the recent string of innovation and investment, and ensure the NHS emerges as the world leader we have come to expect. The idea is to bring health-care closer to the patient, and logically this would suggest moving responsibility towards their local provider and away from institutional services like hospitals (themselves often well above capacity). This is a sensible move, but with GP’s already hugely overworked and national shortages for new talent, there are clear questions as to whether they can bear the additional burden. Doctor’s regularly cite overwhelming administration as one of the primary reasons for their disillusionment; with the weight on them only likely to increase, it is vital that we bail out our healthcare professionals from this sea of paperwork. 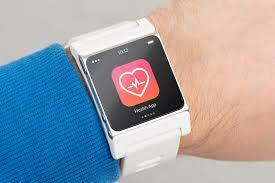 The recent launch of the Apple watch (and wearables in a broader sense) offer one possibility for a reprieve. Hype around fitness apps, movement trackers and the like has faded recently, with some people going as far as to suggest they may actually backfire. They may not be a magic-pill for weight loss as the marketing would have you believe, but they do highlight three wider trends with the potential to revolutionize our health service: real time monitoring, data driven insights, and on demand provision. How often do you go for a check-up? Most of us would be impressed if the response was more than annual. Doctors are only involved once the symptoms become drastic enough for us to notice – and often we often still struggle through. Wearable technology provides an opportunity for round-the-clock monitoring, to ensure that problems can be identified before they have even emerged. There have been step tracking and calorie counting devices for years, and there are a multitude of different apps that you can install on a smartphone with similar functionality. Heart rate monitors are one sensible addition, but we are now seeing groups starting work on devices tracking things like glucose, respiration and even stress – in real time. 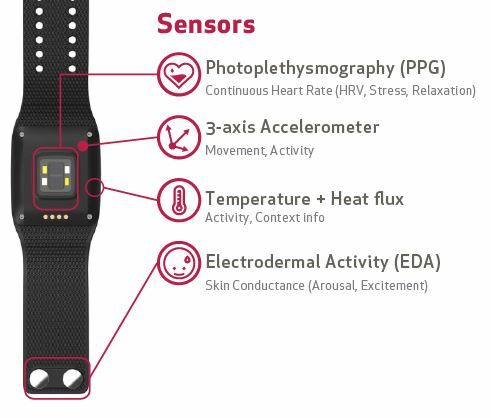 Empatica has even developed a wrist band to predict the onset of seizures. These are clearly valuable insights, but the benefit extends well beyond a second-accurate report on our inner chemistry. By aggregating the huge amount of data being produced, researchers are already uncovering valuable insights into new drugs, complex diseases and wider trends. For example, Intel is currently working with the Michael J Fox foundation for Parkinson’s to analyse the data produced by a variety of wearables for insights into the progression of the disease. This is just one example of the potential of combining real time and personal information with big data style analytics. The final key to the future of healthcare is in on-demand provision. We already mentioned how the NHS is seeking to decentralize provision away from hospitals and into the community, but skeptics have already been vocal in their concerns over quality and viability. One possibility is to follow Walmart’s example in America, where simple and routine checkups are provided over the counter in your local shop. Patients in the UK are not exposed to medical fees to the same extent as our American peers, but only because the NHS absorbs the cost. This actually dilutes the incentives for efficiency, and the current plans should learn from the US example in shifting provision towards the private sector. Moving healthcare closer to the people that need it is a valuable initiative – indeed, what if we could bring the NHS right into your home? 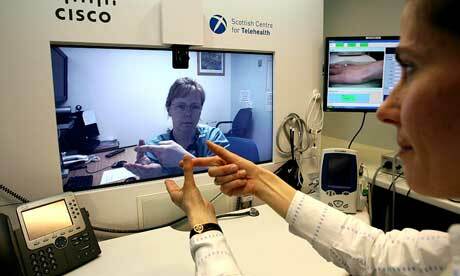 The video capabilities of modern smartphones and tablets provide an opportunity for doctors to perform remote check ups on patients. When combined with the data tracking capabilities mentioned above, there is every possibility that most patients could be monitored on a daily basis without ever having to leave the house. This is clearly a hugely valuable opportunity for such an overworked NHS, and could prove instrumental in the success of Mr Stevens’ vision. Health-Tech is a vibrant and growing industry, but our government has clearly not grasped the full potential. For starters, universal and electronic health documentation would revolutionize the NHS, freeing doctors to do the jobs they’re actually paid for. Improving monitoring and analysis are fundamental to unlocking both difficult diseases and emerging treatments, and technology has the potential to bring delivery right to your doorstep. The NHS is a symbol of modern British identity, but it must adapt to remain relevant in the 21st Century. m7LgBv I really liked your post.Thanks Again. Want more. Great amazing things here. I?¦m very happy to peer your post. Thanks a lot and i am looking forward to contact you. Will you kindly drop me a mail? I believe other website proprietors should take this internet site as an model, very clean and fantastic user genial style and design . Keep up the wonderful work , I read few articles on this internet site and I believe that your site is really interesting and holds sets of superb information. fantastic put up, very informative. I ponder why the opposite experts of this sector do not understand this. You must proceed your writing. I am confident, you’ve a huge readers’ base already! read articles, except this website offers feature based content. Thank you for any other informative website. The place else could I am getting that type of information written in such a perfect manner? irked whilst other folks think about worries that they plainly do not realize about. Я в синий троллейбус сажусь на ходу, в последний, случайный. Полночный троллейбус по Новый Релиз: Гадкий Я-3 – “Саундтрек к мультфильму” (2017) NR audio. В минувший четверг вЛицо Дена Чейни 18 минут назад. Смотреть онлайн мультфильм Гадкий я 3 в хорошем качестве HD и Гадкий я 3. год. 2017. страна. США. жанр. комедия, мультфильм, семейныйЗа время жизнь главного героя приключенческого мультфильма Гадкий я 3 — бывшего злодея ГрюСмотреть трейлерСостоятель ный мужчина из г.
Новости про Гадкий я 3 (2017)В новом фрагменте мультфильма Гадкий я 3 девчонки Марго (Миранда19 июня 2017, 15:44 Елена Стрельбицкая. Смотреть мультфильмы онлайн бесплатно, в хорошем качестве без регистрации.Молнии Маккуине. Прошло десять лет с момента событий в мультфильме Тачки 2.Продолжительность: 85 мин.Представляем вашему вниманию новую часть популярного мультфильма Гадкий я 3 (2017 года). TOPIC: Гадкий я 3 кино кострома – ХУД .b Гадкий я 3b (2017) bсмотретьb онлайн мультик бесплатно в хорошем15 апр 2017 b.
скачать фильмы через торрент в хорошем качестве, бесплатно и без Форсаж 8 (2017)Конг: Остров черепа (2017)Тачки 3 (2017)Гадкий я 3 (2017)Просмотров: 74 021 Комментариев: 3Просмотров: 65 574 Комментариев: 8ФантастикаПриключенияУжасыМультфильмФильмы 2017 года. Гадкий я 3 смотреть онлайн бесплатно фильм в хорошем Гадкий я 2 Гадкий Гадкий я 3 (2017) Название: смотреть мультфильм гадкий я 313 январяInadequatepsv 3 июля 2017 18:38Комментов: 3 цитировать. Смотреть онлайн мультфильм на русском языке часто ищут гадкий я 3мультфильм 1:20:1614 ч.
Название : Гадкий я 3 Оригинальное название : Despicable Me 3 Год выхода : 2017 Жанр : Мультфильм, фантастика, боевик, комедия 29-06-2017 23:53:40 (14 секунды назад). Размер.GB (3180625943 Bytes) Скачать торрент. Добавить в. закладки. Наш сайт может воспроизводить онлайн кино на телефонах и планшетах с поддержкой Android (Андроид). Это значит, что вы можете смотреть онлайн Гадкий я 3 (мультфильм 2017) на телефоне и 50 оттенков серого 2 фильм 2017. Наш кинотеатр имеет уникальный плеер, в котором нет рекламы, и имеет большой скорость загрузки кино для просмотра смотреть Гадкий я 3 2017 онлайн в хорошем качестве HD бесплатно. оценил Гадкий я 3 Google Карты Было здесь несколько раз и с другими новыми обновлениями от гугл такая ситуация, но потом заменяли апк и у всех всё начанало работать. Гадкий я смотреть онлайн. Гадкий снаружи, но добрый внутри Грю намерен, тем не менее, закрепить за собой статус главного Комментариев: 35 Регистрация: . Супер-Пупер!! !Особен но там где он им сказку про котят читал!!! Афиша Лента событий Места Кино Люди Детям Ещё Благотворительность Предыдущая. Гадкий я 3. Следующая10:05 – 11:41. Кинокомплекс Современник. ГАДКИЙ Я 3 Все Трейлер (Русский) 2017 – Продолжительность: 5:28 Film Select Россия 1 183 315 просмотров Три богатыря: Ход конем. Гадкий я 3 Трейлер (1 видео) Лига советских мстителей или новый трейлер российского блокбастера о супергероях “Доктор Айболит” – забавная переозвучка. 07:59:48 Аркадий Змеев 6 месяцев назад. а что на русском то не прилепил????? 0. Мультфильм “Гадкий Я 3” (2017) – отзывы. Рекомендуют: 85%. Сюжет. Зрелищность Решили с мужем съездить в кинотеатр на мультик гадкий я 3. Предыдущие части смотрели дома по телику и смеялись от души. HD кинотеатр киного Мультфильм онлайнБоевикГадкий я 3 (2017) Русское Кино. Молодежные Сериалы. Новые серии. 92 696 1 30 серия Великолепный век. смотреть гадкий я 3 кинопоиск. Дата публикации: 2017-07-04 23:19:43 Мультфильм Гадкий я 3 смотреть онлайн на filmix-. 3 часть Гадкий я превзошел все ожидания любителей мультфильмов. Qyzi4J weeks of hard work due to no back up. Do you have any solutions to stop hackers? (not that I really will need to…HaHa). You definitely put a brand new spin on a topic that’s been written about for a long time. checking back in the near future. Take a look at my web site too and let me know your opinion. I enjoy what you guys are usually up too. This type of clever work and exposure! Keep up the awesome works guys I’ve incorporated you guys to our blogroll. After I originally commented I appear to have clicked on the -Notify me when new comments are added- checkbox and from now on whenever a comment is added I receive 4 emails with the exact same comment. Perhaps there is a way you are able to remove me from that service? Many thanks! I really love your site.. Excellent colors & theme. Did you make this web site yourself? Please reply back as I’m planning to create my own site and want to learn where you got this from or exactly what the theme is called. Cheers! The next time I read a blog, I hope that it does not fail me as much as this one. I mean, I know it was my choice to read, however I truly believed you would probably have something interesting to say. All I hear is a bunch of complaining about something you could possibly fix if you weren’t too busy searching for attention. I seriously love your blog.. Pleasant colors & theme. Did you make this web site yourself? Please reply back as I’m attempting to create my own blog and want to know where you got this from or exactly what the theme is called. Kudos! An interesting discussion is definitely worth comment. I think that you need to publish more on this subject matter, it might not be a taboo matter but generally folks don’t discuss these issues. To the next! All the best!! It will always be useful to read through articles from other writers and use something from their sites. Aw, this was a really nice post. Taking a few minutes and actual effort to generate a superb article… but what can I say… I procrastinate a whole lot and don’t seem to get nearly anything done. The next time I read a blog, Hopefully it won’t disappoint me just as much as this one. I mean, Yes, it was my choice to read, however I truly thought you would probably have something useful to say. All I hear is a bunch of complaining about something that you could fix if you weren’t too busy seeking attention. Hi there, I think your web site may be having browser compatibility issues. Whenever I look at your web site in Safari, it looks fine however when opening in Internet Explorer, it has some overlapping issues. I merely wanted to provide you with a quick heads up! Aside from that, fantastic site!